I love spending time with kids and I have two younger sisters. One is four and the other turned three in November. I often have to look after them. I also often look after an almost four year old boy. I also have brothers abroad in Germany 12 and 5 and I often had to look after them when I visit. 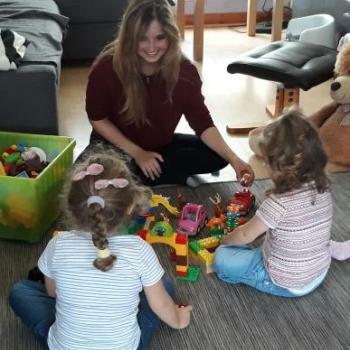 I also worked as an au-pair for a family in Germany in Summer 2017. They had two daughters, 9months..